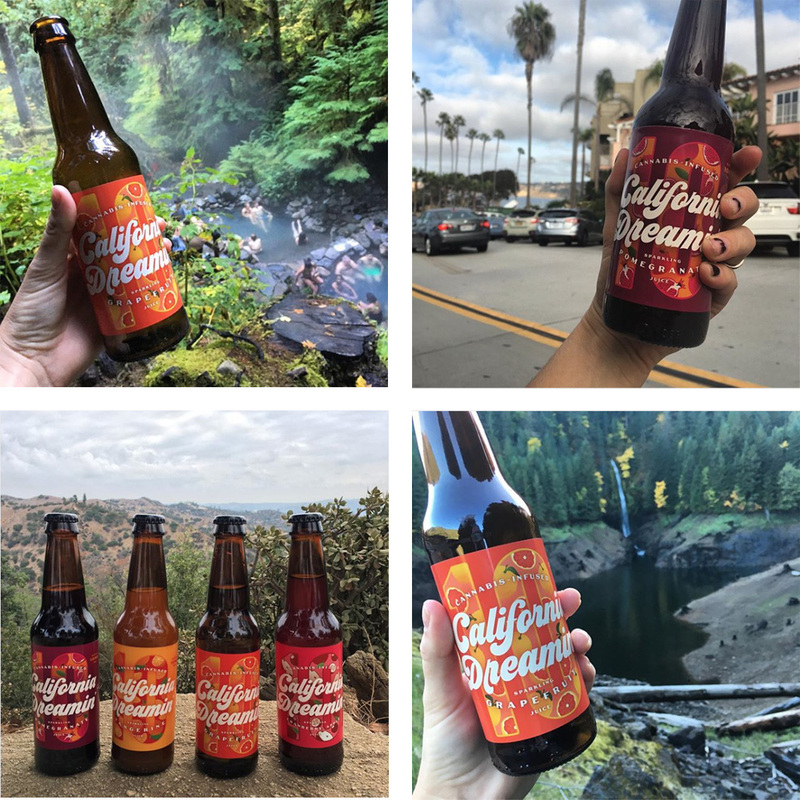 California Dreamin’ is positioned like a craft beer—low dose and approachable, lab-tested for consistency and quality, and all natural ingredients for a healthy, wonderful taste. 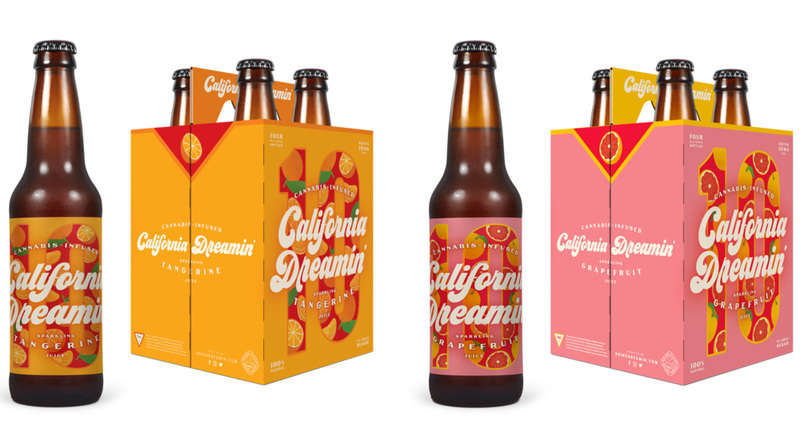 If you ever dreamed of a cannabis-infused, sparkling juice that looked like beer, then this is your best time to be alive because in the state of California you can now enjoy a cold sip of California Dreamin’, get mildly high, and enjoy it from the comfort of an amber bottle with a label that looks as if Austin Powers and a bottle of champagne had a baby. The bubbly script for the logo has instant 1960s vibes but it has been nicely paired with a high-contrast sans to make it a tiny bit elegant. 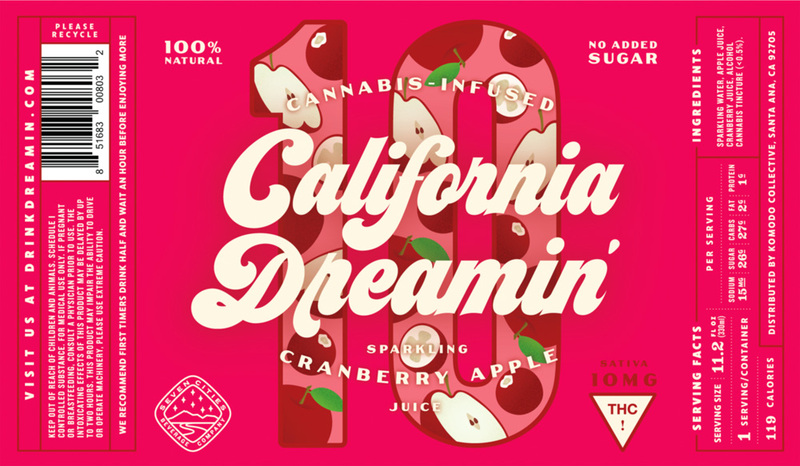 The illustrations, framed inside a “10” (for the 10mgs of THC in each drink), are colorful and attractive and I like that they are trippy-looking just by their density and intense color. Overall, these are fun and not necessarily beholden to normal criteria — i.e., “they are confusing on the shelves” because the only shelves you can find these at are at a pot dispensary — so they have to be seen as a novelty and, on that account, these are quite enjoyable. (Est. 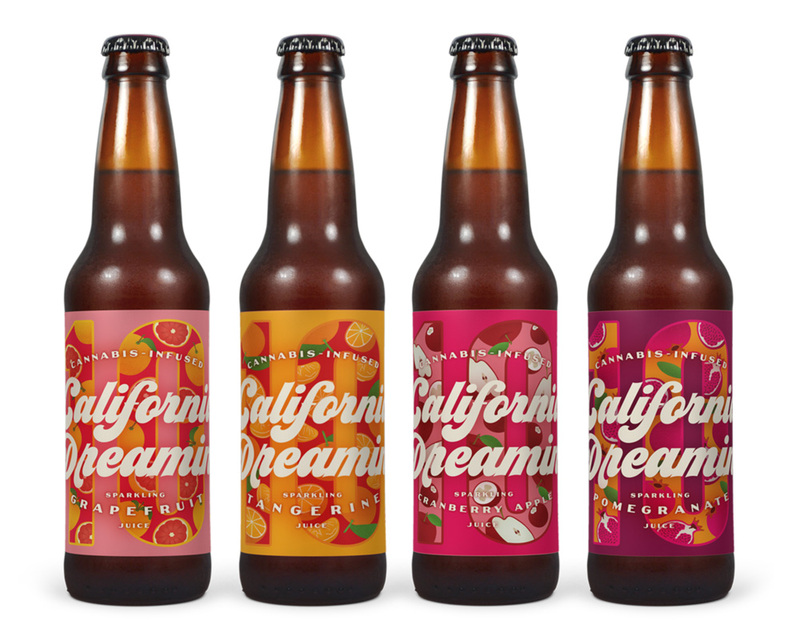 2017) \"The California Dreamin' team started brewing delectable sparkling juices in early 2017 when the founders noticed that most of their friends were intimidated by the potency of current edible products on the market. The founders knew that while Southern California is incredibly lucky to be the epicenter of the best flower, concentrates, and edibles in the world, many patients wanted a lighter experience or simply had a low tolerance for cannabinoids. 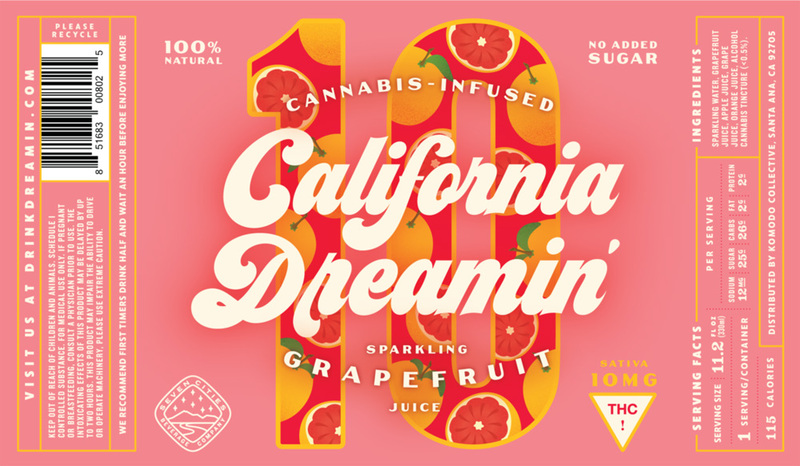 The team put their collective heads together, and decided to craft a cannabis-infused product that embodied everything about their beloved Golden State. 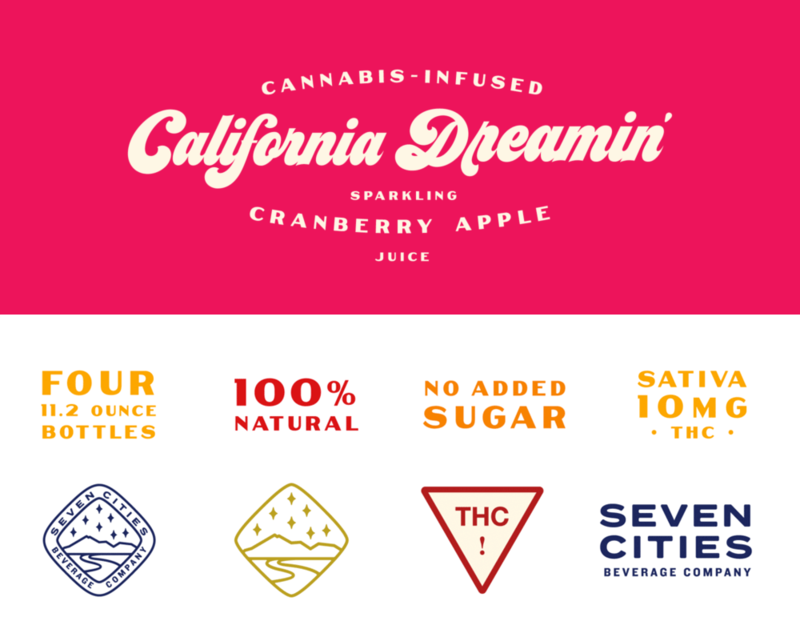 Thus, California Dreamin' was born, ready to refresh customers and offer delicious, reliably dosed juices for its patients.\"